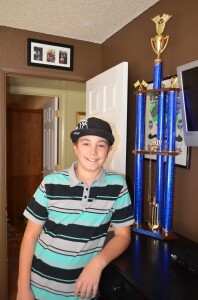 At 12 years old, Alex Gray has done more than many adults. He currently has a piece in the Arizona centennial show “100 Years, 100 Quilts,” on display now at the Arizona History Museum in Tucson, Arizona. He’s not the youngest in that show, nor the oldest. But we’re hard pressed to find any other quilter featured in the show who is a champion drag racer. 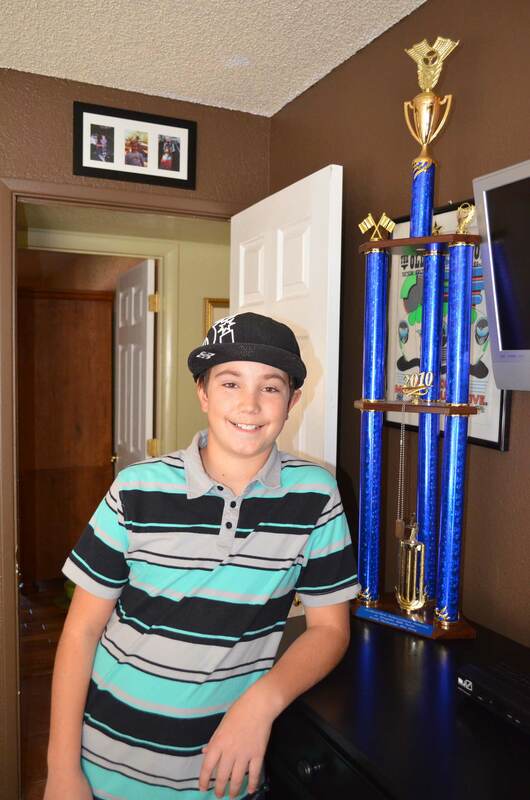 The sixth grader from Academy of Tucson Middle School pursues both interests, and a bit of football as well, with the same intensity and passion. He understands that each takes hard work and attention to detail. He grasps as well the value of good teachers, and the need to practice to get it all right. 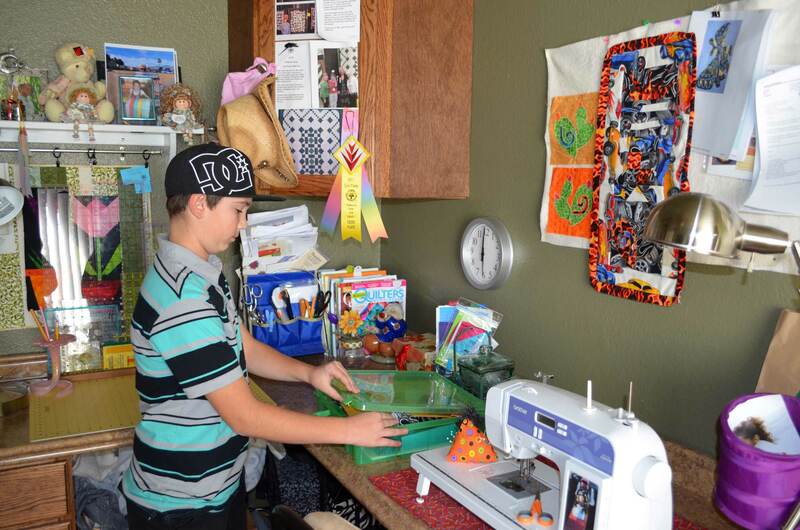 Though he’s relegated quilting to summers and school breaks, he’s done a lot for someone who started just a few years back. One quilt he created was sold at auction – funding fellow classmates whose families couldn’t otherwise send them on a school trip. He’s entered and won competitions, and works alongside more experienced quilters in classes at the local quilt shop, sharpening his skills. Alex has a clear gift for design which carries over not just to quilting but to racing as well. 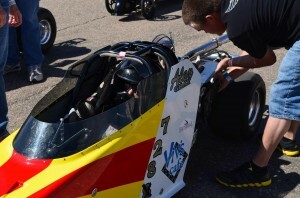 He designed several of the four cars he’s raced in so far, and worked with his father, retired Tucson Police officer Phil Gray, to work out the Arizona flag design of his current dragster. There’s no telling what Alex Gray might do with his life. He has drive, a supportive family, and an array of significant talents. Whatever he does, he will do it well. ~ by Daniel Buckley on April 2, 2012. Feel free to shoot me an email to let us know what you think, and please let me know if you plan to post it on your website, which you’re more than welcome to do.